The 361 Sensation 3 is a stability road running shoe from Chinese manufacturer 361 Degrees. I’d not run in, or even really seen any shoes from 361 Degrees before being asked to try them out, and so naturally I had no idea what to expect. 361 Degrees is a brand that has an established market in China, and is steadily but surely spreading outward, gaining a foothold (ho ho) in the West. I was able to find them stocked by a number of retailers I commonly use here in the UK. 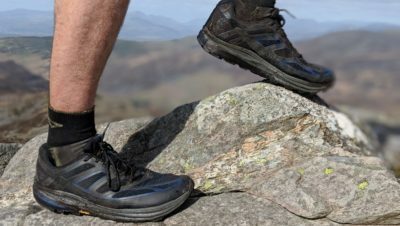 The Sensation is the brand’s entry level option of the two stability shoes in their range, the other being the Strata, which seems to tend to the comfort end of the scale. The Sensation is by spec lighter and racier, but will it make our hearts race? Put to bed any apprehension of these shoes being somehow lower quality having not been made by a familiar brand. 361 Degrees is run by a former exec from ASICS, and that pedigree certainly shines through here. The Sensation 3 feels high quality in all regards, from the materials to the seams, these are well made shoes. The unwritten rule of running shoes is that every manufacturer must create as fancy a term as they can for the component parts of a shoe, from the sole to the uppers, to the laces. 361 opts for “QU!KFOAM” as the name for their cushioning system, which sits neatly atop the “QU!K Spine” offering longitudinal rigidity. Whatever you want to call it, I was incredibly impressed with the comfort on offer from the sole, with the foam providing just enough give to be comfortable without giving the feeling of wobbling about in slippers. My regular go-to road shoe is the Mizuno Wave Inspire, and I’m used to a new pair taking about 20 miles before the foam stops fighting back and begins offer a bit of comfort. The Sensation 3 were not like that at all, and were comfortable and supportive from the very first mile. Provided I was already familiar with the model, I’d even happily crack out a new pair for race day. The stated weight for the Sensation 3 is 278g, which is presumably for the smallest size on offer. 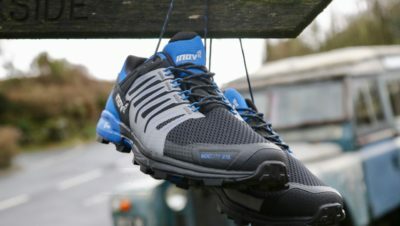 My pair of US 11 (UK 10) Sensations weighed in at 323.5g per shoe, and felt perfectly acceptable in comparison to other stability shoes. 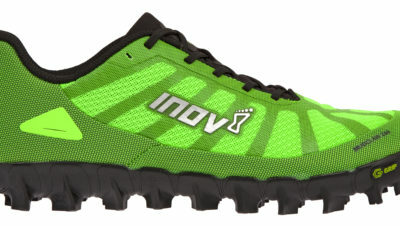 The pair of Sensation 3 I was supplied with were in striking “Gecko” green and black. A good looking shoe, with reflective detailing on the top, sides and back. The laces are those nice foam-like slightly squishy laces that stay tied for your entire run. No need for double knots here. The upper is a continuous section of fabric over the entire toe box and wrapping around to the midfoot. As well as looking very stylish, this means there are no seams running across your little toe, so less chance of rubbing in that area. 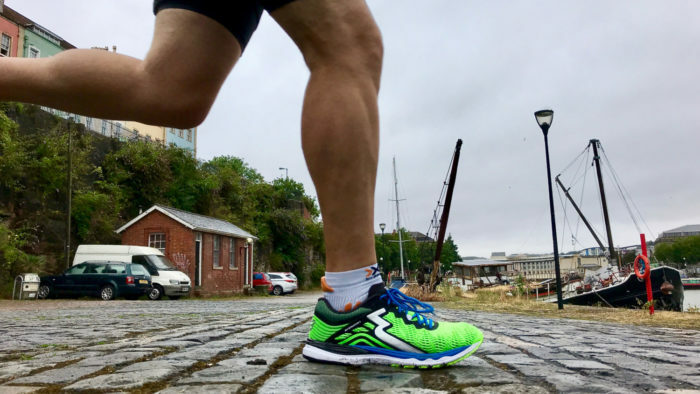 I took the Sensation 3 out onto the streets of Bristol and put them through their paces in fine weather and foul, and from 10Ks to half marathon distance and was generally very impressed. They were comfortable and sure-footed, and performed just as I’d expect from any big-name running shoe brand. 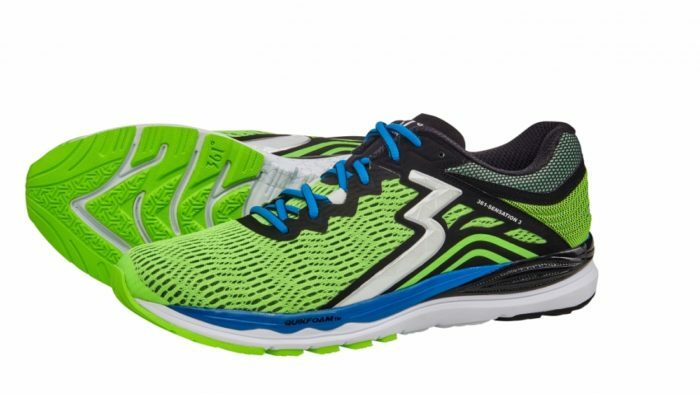 In terms of stability, 361 call the Sensation 3 a “mild stability” shoe. I would possibly downgrade that to “light stability”, in that to me they offered less support than I’m used to in similar models from Mizuno and Saucony. After around 30 miles of use I could feel familiar twinges in my knees indicating that I wasn’t quite getting the support I require. Switching back to my regular shoes confirmed this to be the case. This is of course particular to me, but it useful to note if you’re familiar with stability shoes from other brands. On the whole, the 361 Sensation 3 is a good looking, very comfortable shoe offering light stability and practically zero break-in time. Find out more about the 361 Sensation 3 here.